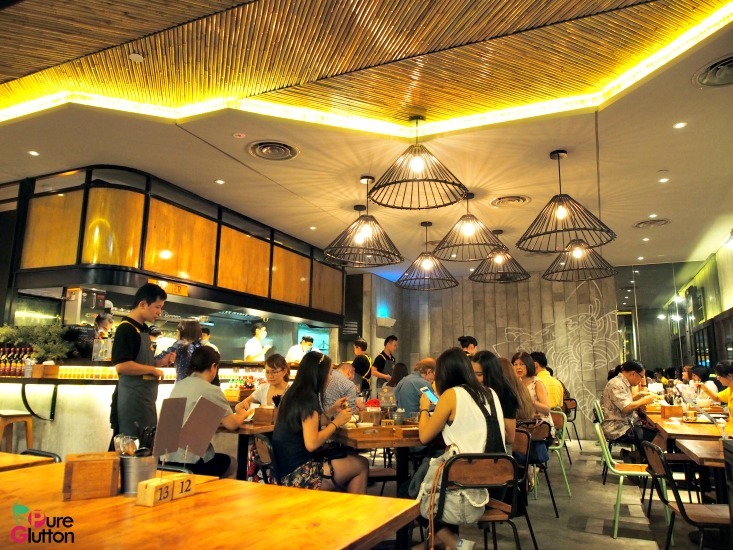 An Viet, a casual restaurant which opened late last year in The Gardens Mall serves a good selection of popular Vietnamese dishes best suited to the Malaysian palate. 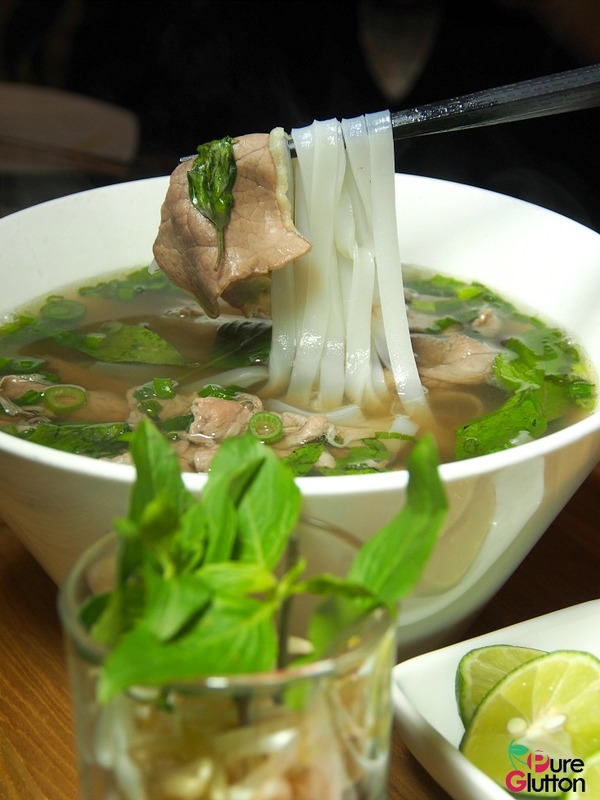 Using only the freshest ingredients, An Viet’s culinary team ensures authenticity by sourcing key ingredients like fish sauce, rice paper and rice noodles directly from Vietnam. We were at An Viet on a weekday evening and the place was bustling. Browsing through their menu, we noted that their pricing was really decent so we decided to check out some of their signature dishes. 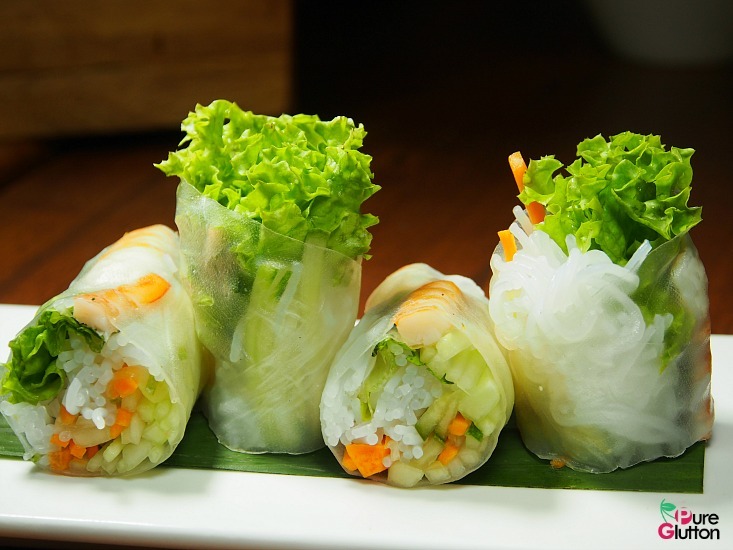 We started off with the refreshing Goi Cuon (RM8.90) – fresh springrolls made with rice paper rolls filled with fresh tiger prawns, Vietnamese vermicelli, carrots, cucumber, herbs and green coral. 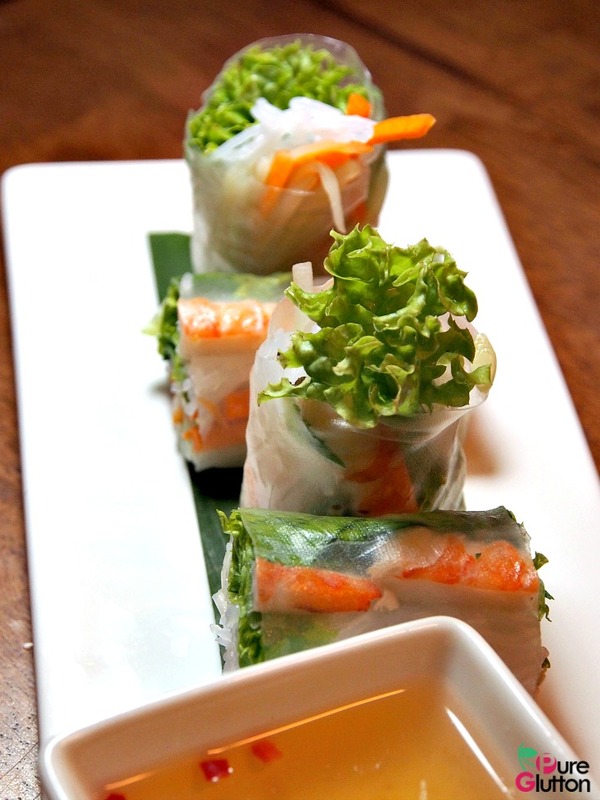 Served with a dipping sauce of 100% pure fish sauce, it was a great starter to our meal. 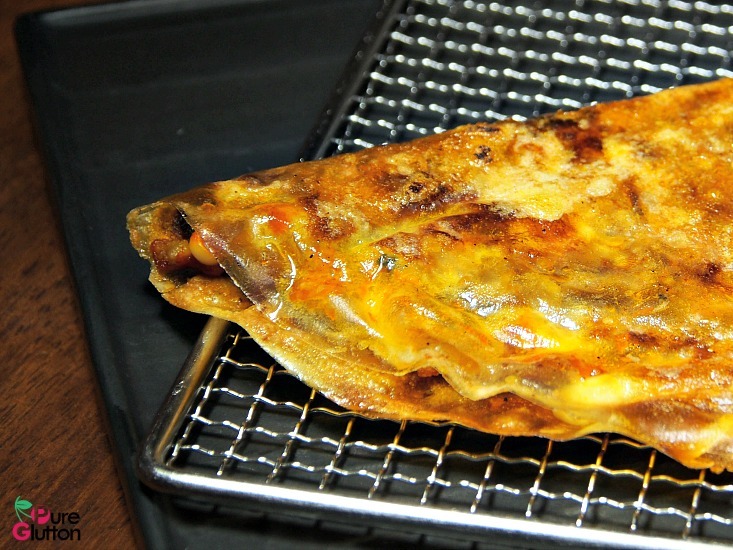 We were curious about their Xoi Chien Phong (RM13.90) and was looking forward to it. 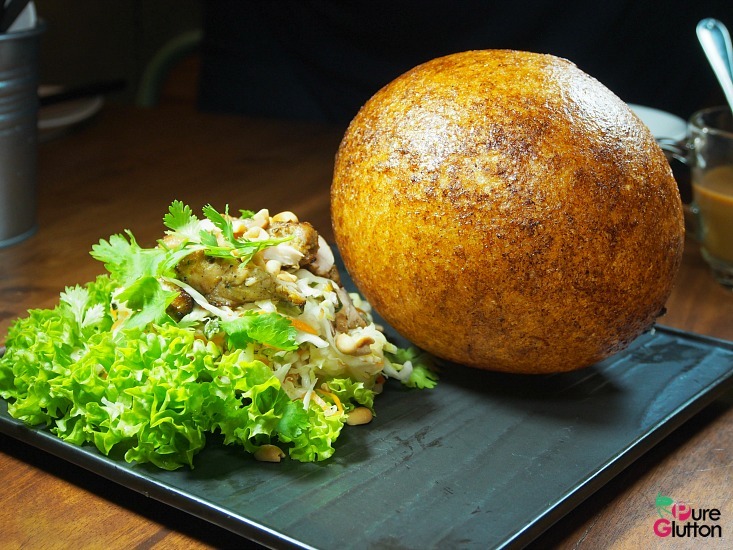 A big sphere of fried glutinous rice puff was served with grilled lemongrass chicken salad by the side. It was a visually unique dish, for sure. 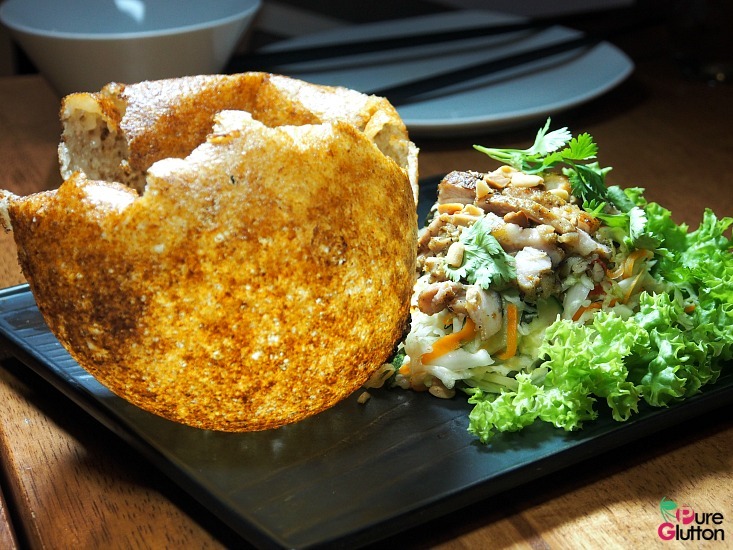 The rice puff was delightfully crispy and we broke it into pieces before eating them with spoonfuls of the aromatic chicken salad. It was an interesting play of textures and tastes. 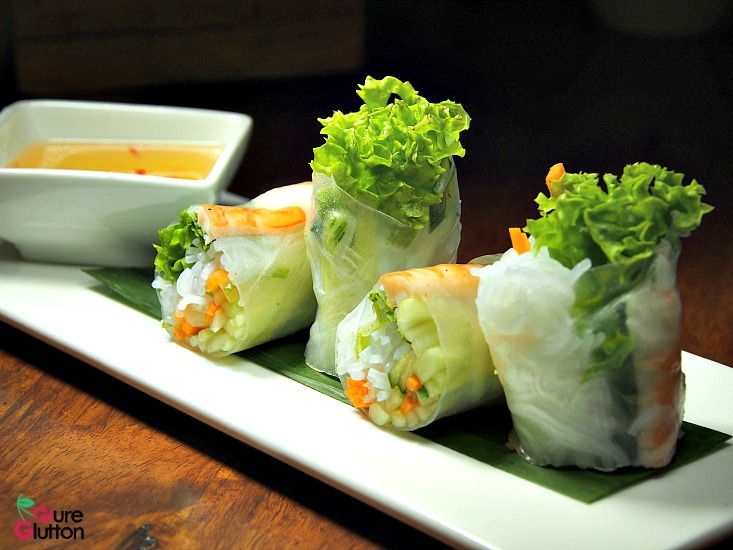 Vietnamese salads are always interesting in terms of ingredients and flavours. 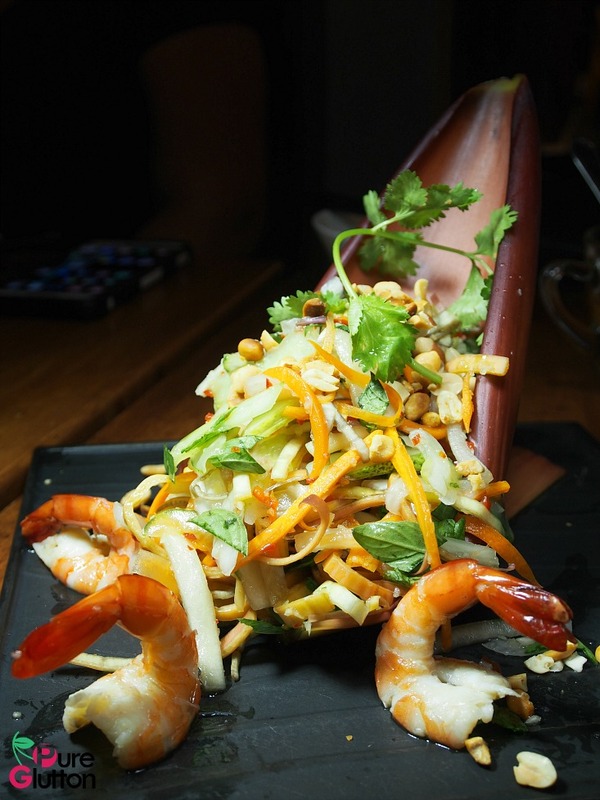 The Nom Hoa Chuoi (RM13.90) was a typical Vietnamese medley of banana blossom, cucumber and carrots tossed in a refreshing salad sauce of pure fish sauce, topped with fresh tiger prawns and chopped roasted peanuts. 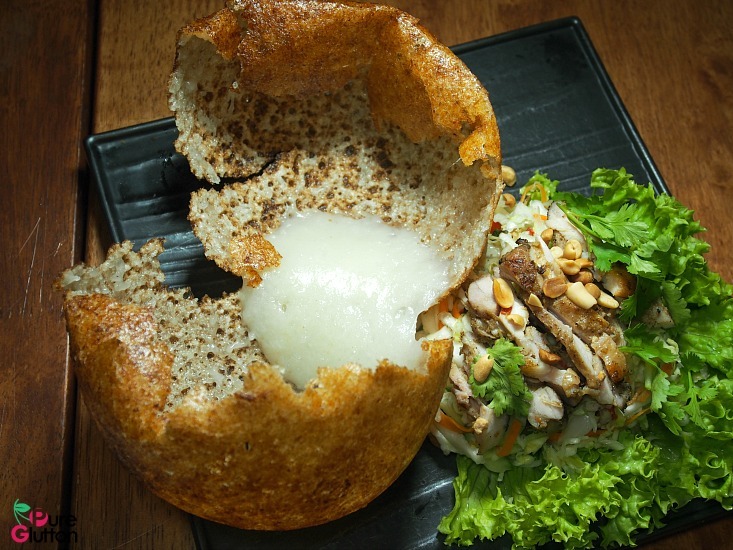 Looking for something soupy, we decided to try their Canh Chua Nuoc Dua (RM13.90). 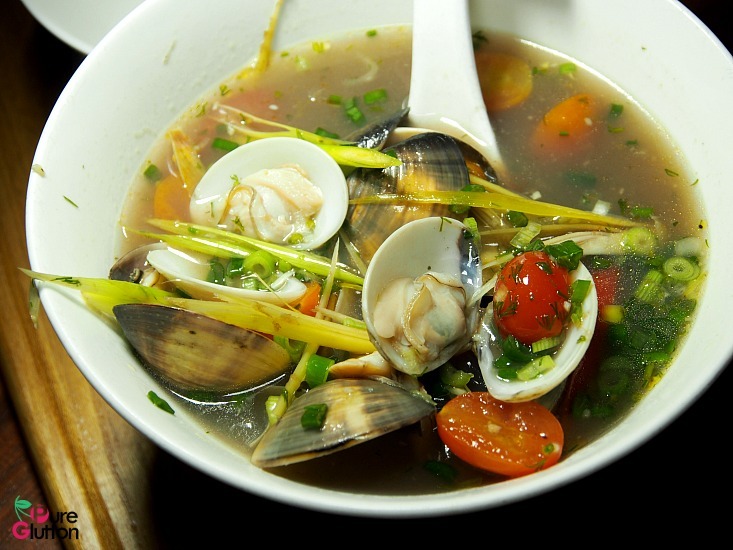 It’s a spicy and tangy broth made from coconut water, fresh clams, lemongrass, dill and chilli. 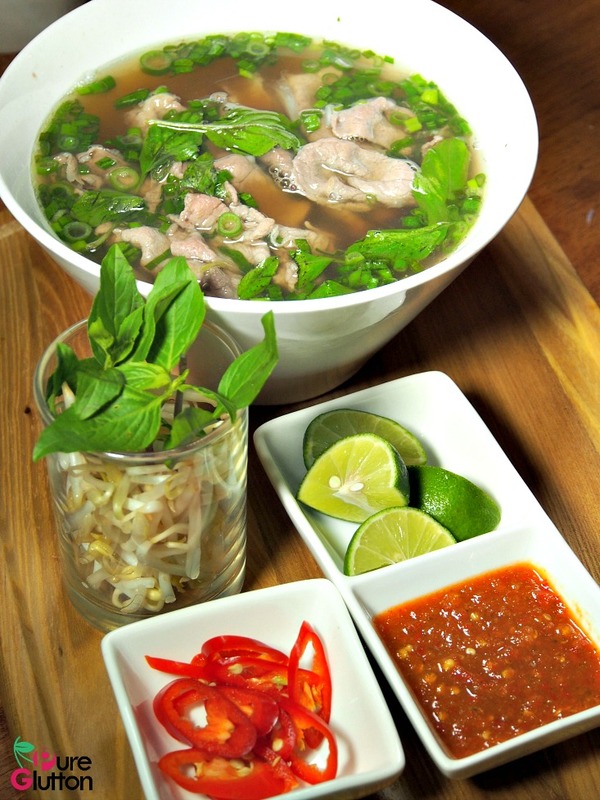 We slurped up every drop of the tasty broth! 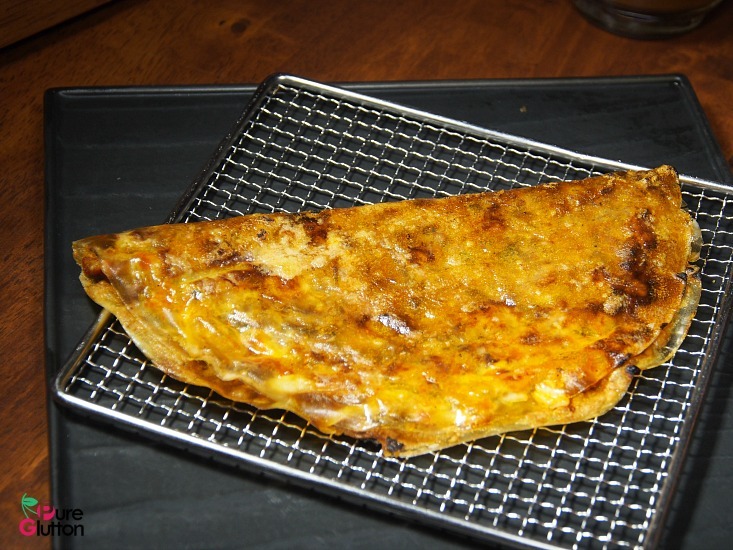 We loved the Banh Trang Nuong (RM8.90) which was a flat savoury pancake made from rice paper filled with minced pork, quail’s egg, dried shrimps and grilled over a slow fire till crisp and fragrant. It’s something not to be missed! We never fail to order pho in any Vietnamese restaurant and An Viet’s Pho Bo (RM18.90) did not disappoint. 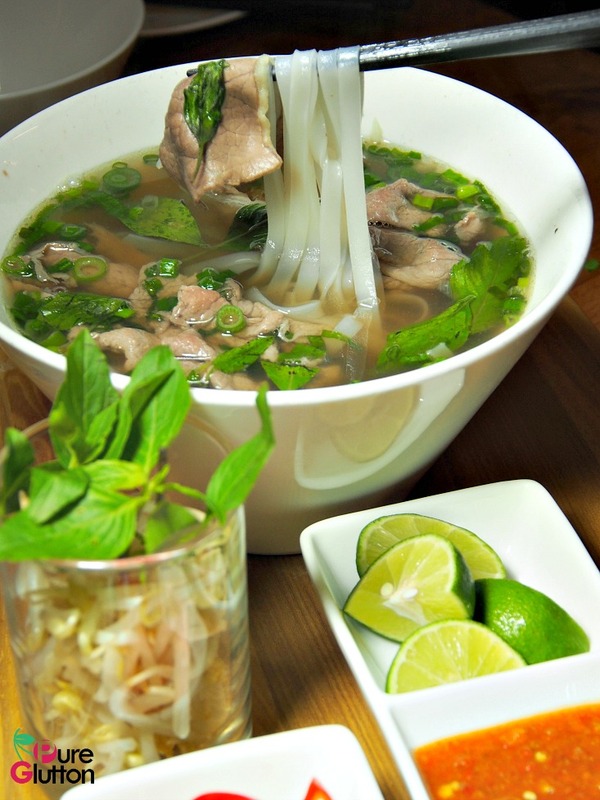 There were smooth rice noodles in a robust beefy broth, a result of a 12-hour-long slow simmer of beef marrow bones. The natural beef flavour of the soup was further enhanced with Australian beef tenderloin and brisket. A handful of fresh basil, beansprouts and a dash of lime juice and homemade Sriracha chilli sauce completed this bowl of wholesome beef noodles. 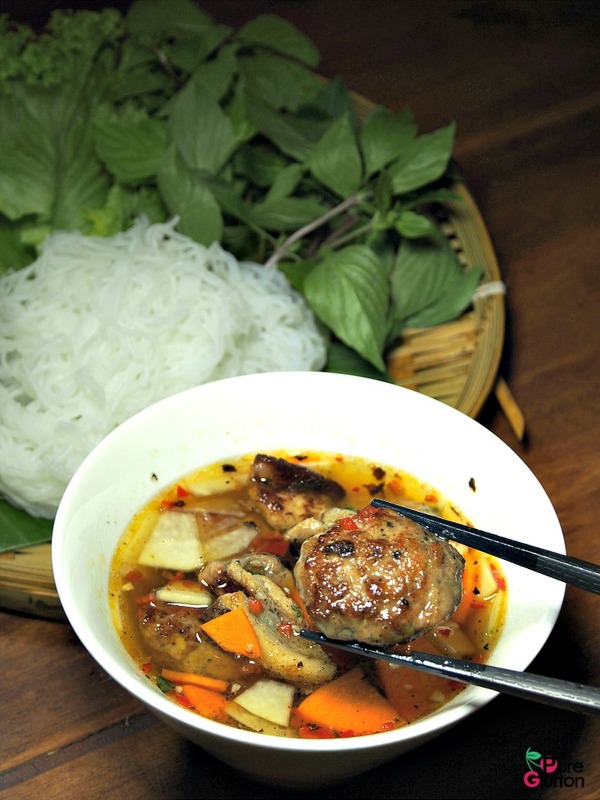 Another noodles dish – the Bun Cha consisted of grilled sliced pork belly and minced pork patties in a tangy spicy refreshing sauce, uplifted by pickled green papaya and carrots, mint leaves, basil and green coral with Vietnamese rice vermicelli by the side. The best way to enjoy this was to dunk the rice vermicelli into the sauce, let it soak up all the flavours before enjoying the delightful mixture of textures and aromas. 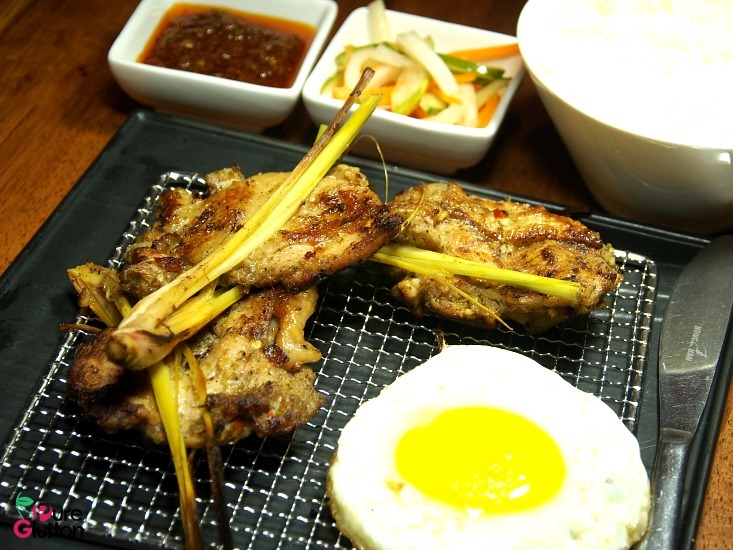 Grilled lemongrass chicken (RM15.90) is a popular item in An Viet not only because it is really good but also because it’s available in a value-for-money set that comes with rice, pickles and a sunny-side-up egg. 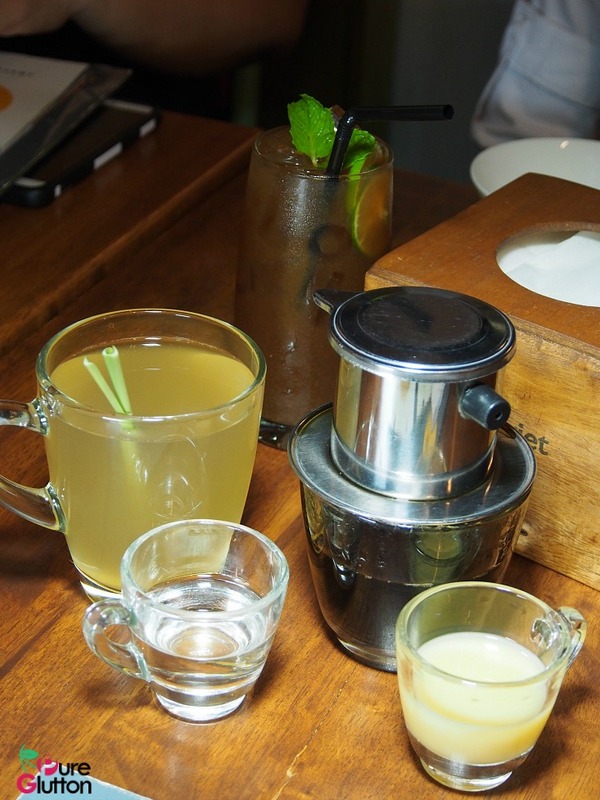 The menu also has a good selection of beverages with Vietnamese coffees being the most popular choices. 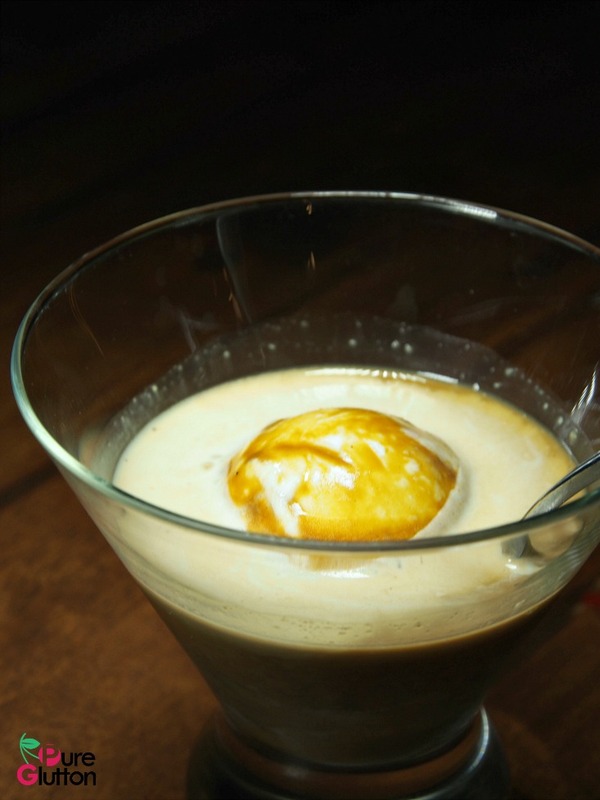 There’s the Viet-ffogato (RM9.90) which is Vietnamese drip coffee served with condensed milk ice cream and coconut milk. May be too rich for some but it’s worth a try. 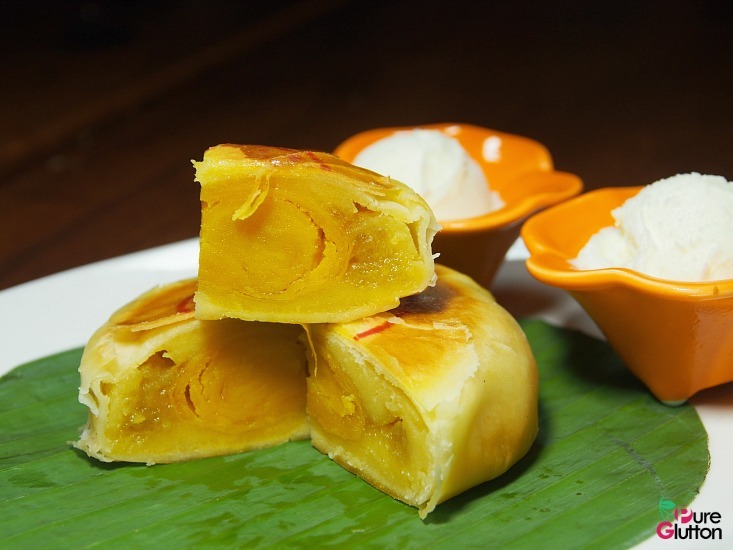 Then there’s also the Ca Phe Trung (RM8.90) which is hot Vietnamese drip-coffee served with whisked egg yolk. 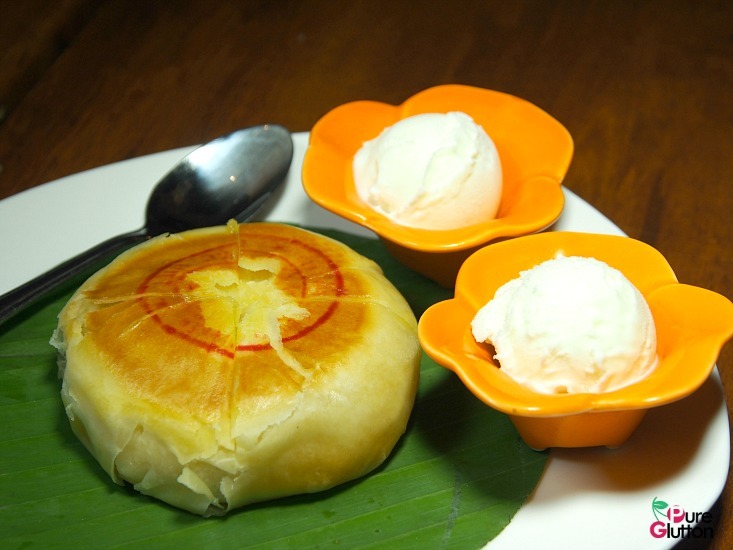 We liked their Vietnamese-style durian flavoured “mooncake” served with condensed milk ice cream too! 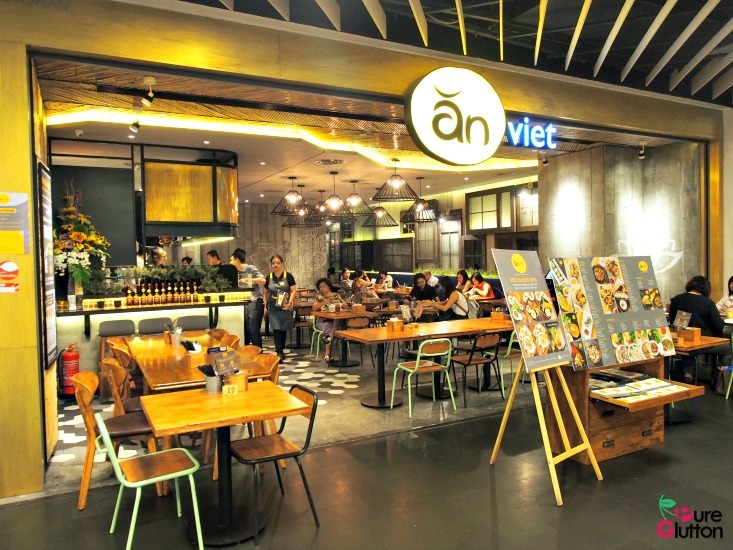 To discourage food wastage, diners in An Viet can choose the portion size of the rice and noodles (ranging from 80g to 200g per portion) which they can finish. There’s no price difference for any of the portion sizes.